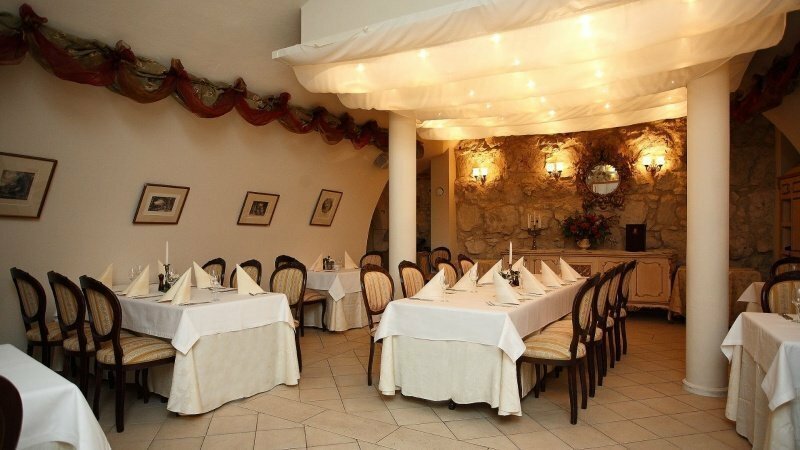 The unique, richly decorated interiors of Amadeus Restaurant and other interiors emphasize the exceptional nature of organized events. 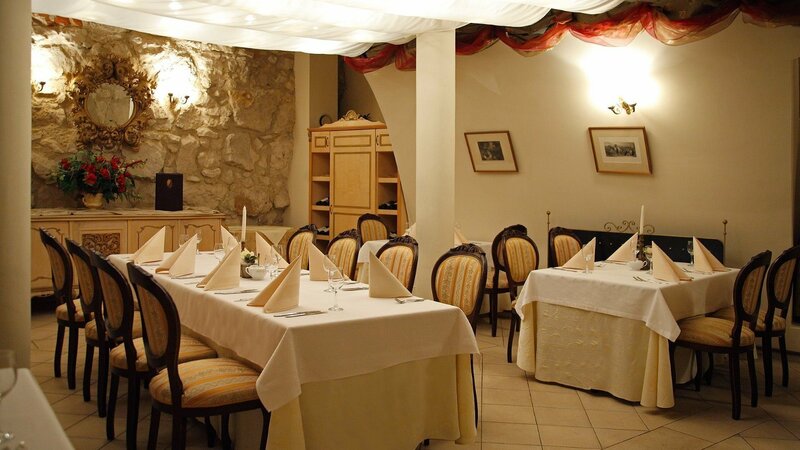 The space and layout of the air-conditioned halls are suitable and available not only for hotel breakfasts and dining but also for individual celebrations, weddings, communions, corporate receptions, and other special occations in Karkow Old Town. Each of the interiors in the Amadeus Restaurant and Cafe provides a discreet atmosphere conducive to meetings in the company of loved ones. The option of renting the Club Lounge means you can celebrate special occasions in an atmosphere of comfort and complete privacy. The experienced staff provide assistance and support for the reservation. Each inquiry is treated individually, and the quotation, along with the menu, are specially composed for the enquirer. 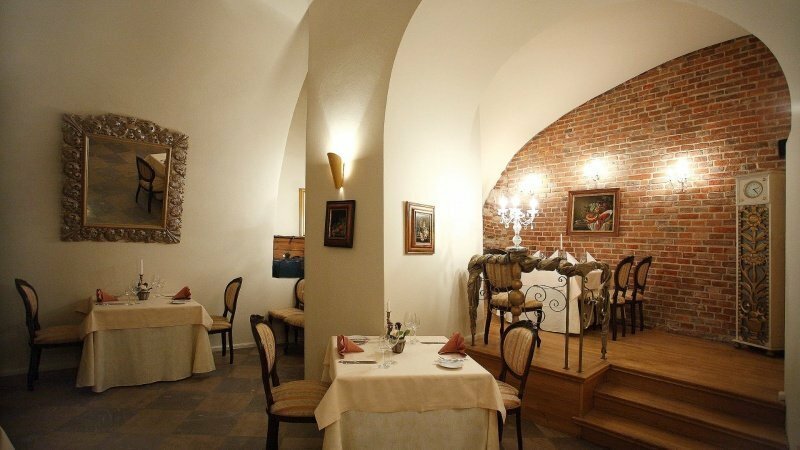 The Amadeus Restaurant is located in the hotel’s cellars where frescoes, pillars and numerous paintings give the place its unique character and provide an exceptional, intimate atmosphere. 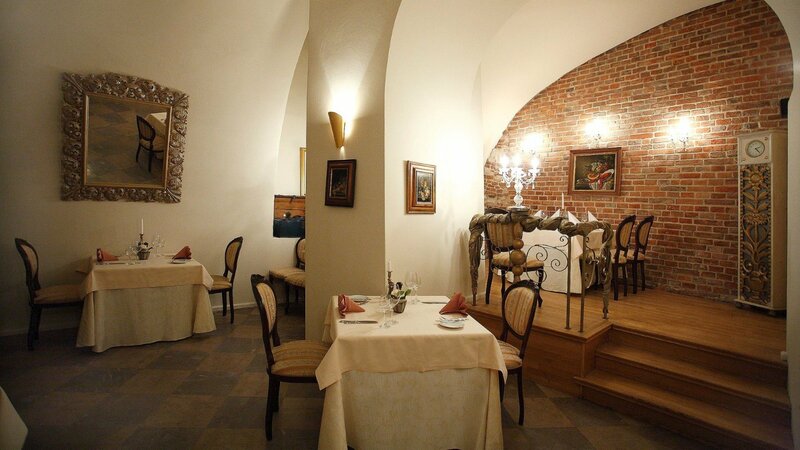 The stylish decor together with a friendly and professional service helps you to fully appreciate our cuisine. 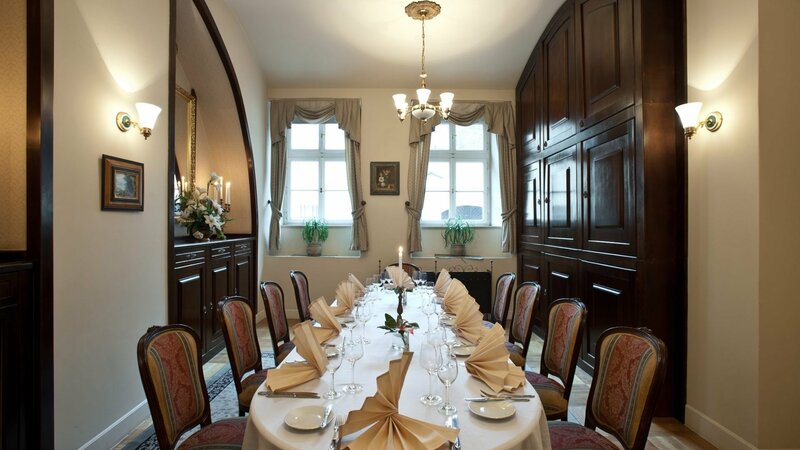 This is where our hotel guests can celebrate breakfasts and sample exquisite dishes from polish and international kitchen. 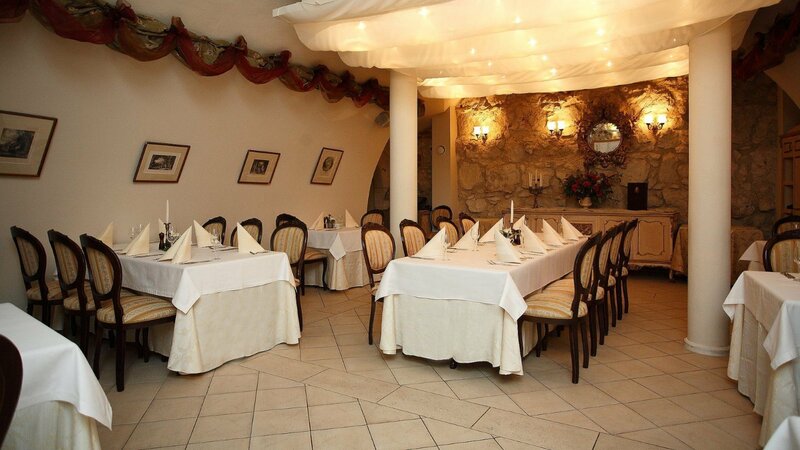 The interiors of Restaurant Amadeus (three air-conditioned rooms, richly decorated with frescoes – Gold, Marble, and Columned) are available for individual celebrations, breakfasts and business meetings, and organizing receptions. Lovers of strong drinks are invited to our bar, where our smiling and friendly service will offer you original drink creations. The intimate and cosy hotel bar provides guests with the rest and relaxation they need in the company of fine wines and beverages. The soft music and cellar well-equipped with wines and spirits mean you can spend time chatting with friends or watching sports events together. 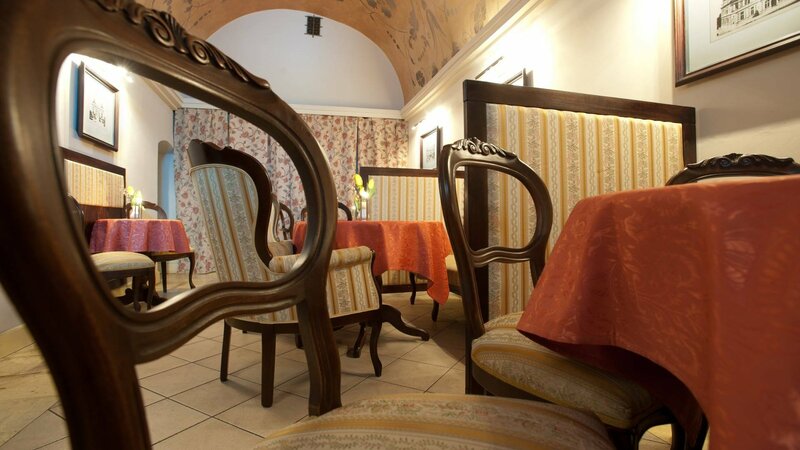 The unique charm of the cosy café is created by framed Mozart scores with atmospheric music, complemented by splendid desserts and delicious drinks. Here wafts the aroma of freshly-brewed coffee. 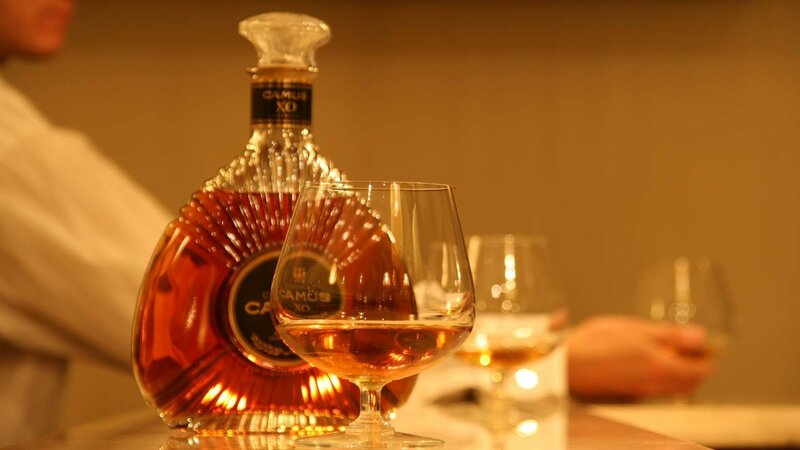 Exotic cocktails and long-matured wine and brandy grace moments spent with friends for a chat or following sporting events. Such sweet moments are simply undeniable. On special request, breakfast and other dishes from the Amadeus Restaurant menu will be served to your room.